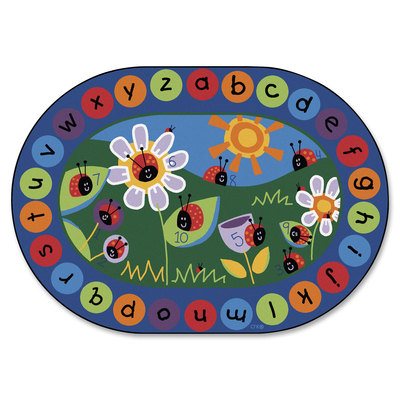 Rug Features An Adorable Ladybug Design To Encourage Children As They Learn To Count And Gain Number-Recognition. Plus, The Bright Literacy Border Creates A Great Place For Children To Gather. Oval Rug Is Safe For Children Of All Ages..
Rug Features An Adorable Ladybug Design To Encourage Children As They Learn To Count And Gain Number-Recognition. Plus, The Bright Literacy Border Creates A Great Place For Children To Gather. Oval Rug Is Safe For Children Of All Ages.